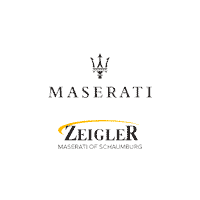 Take the guesswork out of finding the right pre-owned vehicle for you when you come down to Zeigler Maserati of Schaumburg today. We have many used Maserati vehicles in stock, along with non-Maserati vehicles. Along with our exclusive inventory, we offer a rotating selection of pre-owned vehicle incentives for an extra added value. Once you’ve reviewed our stock of pre-owned cars, trucks, and SUVs online, come down from nearby Bartlett to Schaumburg for a test drive! Recent Arrival! 2017 Maserati Quattroporte S Q4 GranLusso Bianco Alpi Pearlescent POWER MOONROOF *, 8.4 TOUCHSCREEN NAVIGATION *, HEATED STEERING WHEEL *, HEATED AND COOLED LEATHER SEATS *, BOWERS AND WILKINS SOUND SYSTEM * 21" TITANO RIMS * ST WHEEL HIGH GLOSS ERABLE TRIM * TRI-COAT PAINT * AIR SHUTTER * 360 SURROUND VIEW CAMERA * $133,700 LIST NEW * 3.0L V6. At Zeigler Schaumburg Fiat Maserati Alfa Romeo, Home of the BEST PRICE GUARANTEE, we take pride in treating our customers like family, ensuring that your experience is one that you will never forget. Every vehicle has been through a 125 point safety inspection completed by a certified technician and fully detailed. Take advantage of our VIP internet experience by contacting us at 847-407-9000 to schedule a test drive. We are proud to serve customers in Schaumburg, Arlington Heights, Palatine, Elgin, Barrington, Naperville, Chicago, & everywhere in the great state of Illinois, saving you time & money on any New or Pre-owned vehicle! See dealer for complete details, dealer is not responsible for pricing errors, all prices, plus tax, title, plate, and doc fees. Some of our used vehicles may be subject to unrepaired safety recalls. Check for a vehicle's unrepaired recalls by VIN at http://vinrcl.safercar.gov/vin/. Zeigler Fiat Maserati Alfa Romeo "FOR A GREAT EXPERIENCE". Recent Arrival! 2007 Hyundai Tucson Limited Platinum POWER MOONROOF *, ONE OWNER *, LEATHER SEATS *, HEATED SEATS, NON SMOKER *, 6.5 TOUCHSCREEN DISPLAY *, AUDIO JACK FOR MOBILE DEVISES *, KEYLESS ENTRY *, FOG LIGHTS, ALLOY WHEELS *, ANOTHER ONE OWNER LOCAL SUBURBAN TRADE *, 2.7L V6 DOHC, 4WD. At Zeigler Schaumburg CDJ, Home of the BEST PRICE GUARANTEE, we take pride in treating our customers like family, ensuring that your experience is one that you will never forget. Every vehicle has been through a 125 point safety inspection completed by a certified technician and fully detailed. Take advantage of our VIP internet experience by contacting us at 847-882-8400 to schedule a test drive. We are proud to service customers in Schaumburg, Arlington Heights, Palatine, Elgin, Barrington, Chicago, & anywhere in the Great state of Illinois, saving you time & money on any New or Pre-owned vehicle! See dealer for complete details, dealer is not responsible for pricing errors, all prices, plus tax, title, plate, and doc fees. Serving Illinois and all of our surrounding cities like Schaumburg, Arlington Heights, Palatine, Elgin, Barrington, & Chicago. Some of our used vehicles may be subject to unrepaired safety recalls. Check for a vehicle's unrepaired recalls by VIN at http://vinrcl.safercar.gov/vin/. Zeigler CDJ-“FOR A GREAT EXPERIENCE”. Recent Arrival! 2006 Lexus RX 400h Champagne GOOD DEPENDABLE TRANSPORTATION THATS GREAT ON GAS * FEW DINGS AND SCRATCHES BUT PRICED TO MOVE * POWER MOONROOF *, LEATHER SEATS *, HEATED SEATS, POWER WINDOWS * POWER LOCKS * CRUISE CONTROL *, AUDIO JACK FOR MOBILE DEVISES *, STEERING WHEEL MOUNTED AUDIO CONTROLS *, POWER TAILGATE *, BLUETOOTH *, KEYLESS ENTRY *, FOG LIGHTS, BACKUP CAMERA *, ALLOY WHEELS *, PRICED TO MOVE *, 3.3L V6 DOHC Hybrid VVT-i, AWD. Priced below KBB Fair Purchase Price! 31/27 City/Highway MPG At Zeigler Schaumburg CDJ, Home of the BEST PRICE GUARANTEE, we take pride in treating our customers like family, ensuring that your experience is one that you will never forget. Every vehicle has been through a 125 point safety inspection completed by a certified technician and fully detailed. Take advantage of our VIP internet experience by contacting us at 847-882-8400 to schedule a test drive. We are proud to service customers in Schaumburg, Arlington Heights, Palatine, Elgin, Barrington, Chicago, & anywhere in the Great state of Illinois, saving you time & money on any New or Pre-owned vehicle! See dealer for complete details, dealer is not responsible for pricing errors, all prices, plus tax, title, plate, and doc fees. Serving Illinois and all of our surrounding cities like Schaumburg, Arlington Heights, Palatine, Elgin, Barrington, & Chicago. Some of our used vehicles may be subject to unrepaired safety recalls. Check for a vehicle's unrepaired recalls by VIN at http://vinrcl.safercar.gov/vin/. Zeigler CDJ-"FOR A GREAT EXPERIENCE". Recent Arrival! 2007 Ford Mustang V6 Deluxe Performance White Clearcoat * LEATHER SEATS *, HEATED SEATS,* NEW BRAKES * POWER WINDOWS * POWER LOCKS * CRUISE CONTROL *, AUDIO JACK FOR MOBILE DEVISES *, STEERING WHEEL MOUNTED AUDIO CONTROLS *, TILT AND TELESCOPIC STEERING WHEEL *, POWER TRUNK *, KEYLESS ENTRY *, FOG LIGHTS, ALLOY WHEELS *. Priced below KBB Fair Purchase Price! At Zeigler Schaumburg CDJ, Home of the BEST PRICE GUARANTEE, we take pride in treating our customers like family, ensuring that your experience is one that you will never forget. Every vehicle has been through a 125 point safety inspection completed by a certified technician and fully detailed. Take advantage of our VIP internet experience by contacting us at 847-882-8400 to schedule a test drive. We are proud to service customers in Schaumburg, Arlington Heights, Palatine, Elgin, Barrington, Chicago, & anywhere in the Great state of Illinois, saving you time & money on any New or Pre-owned vehicle! See dealer for complete details, dealer is not responsible for pricing errors, all prices, plus tax, title, plate, and doc fees. Serving Illinois and all of our surrounding cities like Schaumburg, Arlington Heights, Palatine, Elgin, Barrington, & Chicago. Some of our used vehicles may be subject to unrepaired safety recalls. Check for a vehicle's unrepaired recalls by VIN at http://vinrcl.safercar.gov/vin/. Zeigler CDJ-"FOR A GREAT EXPERIENCE". Recent Arrival! 2005 Lexus LS 430 Silver POWER MOONROOF *, FACTORY NAVIGATION *, ONE OWNER *, LEATHER SEATS *, HEATED SEATS, AUDIO JACK FOR MOBILE DEVISES *, STEERING WHEEL MOUNTED AUDIO CONTROLS *, TILT AND TELESCOPIC STEERING WHEEL *, POWER TRUNK *, KEYLESS ENTRY *, FOG LIGHTS, BACKUP CAMERA *, ALLOY WHEELS *, Leather. At Zeigler Schaumburg CDJ, Home of the BEST PRICE GUARANTEE, we take pride in treating our customers like family, ensuring that your experience is one that you will never forget. Every vehicle has been through a 125 point safety inspection completed by a certified technician and fully detailed. Take advantage of our VIP internet experience by contacting us at 847-882-8400 to schedule a test drive. We are proud to service customers in Schaumburg, Arlington Heights, Palatine, Elgin, Barrington, Chicago, & anywhere in the Great state of Illinois, saving you time & money on any New or Pre-owned vehicle! See dealer for complete details, dealer is not responsible for pricing errors, all prices, plus tax, title, plate, and doc fees. Serving Illinois and all of our surrounding cities like Schaumburg, Arlington Heights, Palatine, Elgin, Barrington, & Chicago. Some of our used vehicles may be subject to unrepaired safety recalls. Check for a vehicle's unrepaired recalls by VIN at http://vinrcl.safercar.gov/vin/. Zeigler CDJ-“FOR A GREAT EXPERIENCE”. 2013 Volvo S60 Black T5 FWD 6-Speed Automatic with Geartronic 2.5L I5 20V Turbocharged * REBUILT TITLE VALUE PRICED * POWER MOONROOF *, LEATHER SEATS *, NON SMOKER *, STEERING WHEEL MOUNTED AUDIO CONTROLS *, TILT AND TELESCOPIC STEERING WHEEL *, POWER TRUNK *, BLUETOOTH *, KEYLESS ENTRY *, FOG LIGHTS, ALLOY WHEELS *. At Zeigler Schaumburg CDJ, Home of the BEST PRICE GUARANTEE, we take pride in treating our customers like family, ensuring that your experience is one that you will never forget. Every vehicle has been through a 125 point safety inspection completed by a certified technician and fully detailed. Take advantage of our VIP internet experience by contacting us at 847-882-8400 to schedule a test drive. We are proud to service customers in Schaumburg, Arlington Heights, Palatine, Elgin, Barrington, Chicago, & anywhere in the Great state of Illinois, saving you time & money on any New or Pre-owned vehicle! See dealer for complete details, dealer is not responsible for pricing errors, all prices, plus tax, title, plate, and doc fees. Serving Illinois and all of our surrounding cities like Schaumburg, Arlington Heights, Palatine, Elgin, Barrington, & Chicago. Some of our used vehicles may be subject to unrepaired safety recalls. Check for a vehicle's unrepaired recalls by VIN at http://vinrcl.safercar.gov/vin/. Zeigler CDJ-"FOR A GREAT EXPERIENCE". 2003 Mercedes-Benz S-Class S 500 Pewter Metallic POWER MOONROOF *, FACTORY NAVIGATION *, AUTO CHECK CERTIFIED, LEATHER SEATS *, POWER WINDOWS * POWER LOCKS * CRUISE CONTROL *, STEERING WHEEL MOUNTED AUDIO CONTROLS *, TILT AND TELESCOPIC STEERING WHEEL *, POWER TRUNK *, KEYLESS ENTRY *, FOG LIGHTS, ALLOY WHEELS *, 4MATIC®, Java w/Leather Seat Trim. At Zeigler Schaumburg CDJ, Home of the BEST PRICE GUARANTEE, we take pride in treating our customers like family, ensuring that your experience is one that you will never forget. Every vehicle has been through a 125 point safety inspection completed by a certified technician and fully detailed. Take advantage of our VIP internet experience by contacting us at 847-882-8400 to schedule a test drive. We are proud to service customers in Schaumburg, Arlington Heights, Palatine, Elgin, Barrington, Chicago, & anywhere in the Great state of Illinois, saving you time & money on any New or Pre-owned vehicle! See dealer for complete details, dealer is not responsible for pricing errors, all prices, plus tax, title, plate, and doc fees. Serving Illinois and all of our surrounding cities like Schaumburg, Arlington Heights, Palatine, Elgin, Barrington, & Chicago. Some of our used vehicles may be subject to unrepaired safety recalls. Check for a vehicle's unrepaired recalls by VIN at http://vinrcl.safercar.gov/vin/. Zeigler CDJ-“FOR A GREAT EXPERIENCE”. Recent Arrival! 2006 Jeep Grand Cherokee Limited Light Khaki Metallic Clearcoat POWER MOONROOF *, FACTORY NAVIGATION *, LEATHER SEATS *, HEATED SEATS, POWER WINDOWS * POWER LOCKS * CRUISE CONTROL *, AUDIO JACK FOR MOBILE DEVISES *, STEERING WHEEL MOUNTED AUDIO CONTROLS *, TILT AND TELESCOPIC STEERING WHEEL *, BLUETOOTH *, KEYLESS ENTRY *, FOG LIGHTS, TRAILER TOW PACKAGE *, ALLOY WHEELS *, HEMI 5.7L V8 Multi Displacement, 4WD. At Zeigler Schaumburg CDJ, Home of the BEST PRICE GUARANTEE, we take pride in treating our customers like family, ensuring that your experience is one that you will never forget. Every vehicle has been through a 125 point safety inspection completed by a certified technician and fully detailed. Take advantage of our VIP internet experience by contacting us at 847-882-8400 to schedule a test drive. We are proud to service customers in Schaumburg, Arlington Heights, Palatine, Elgin, Barrington, Chicago, & anywhere in the Great state of Illinois, saving you time & money on any New or Pre-owned vehicle! See dealer for complete details, dealer is not responsible for pricing errors, all prices, plus tax, title, plate, and doc fees. Serving Illinois and all of our surrounding cities like Schaumburg, Arlington Heights, Palatine, Elgin, Barrington, & Chicago. Some of our used vehicles may be subject to unrepaired safety recalls. Check for a vehicle's unrepaired recalls by VIN at http://vinrcl.safercar.gov/vin/. Zeigler CDJ-“FOR A GREAT EXPERIENCE”. Recent Arrival! 2001 Mercedes-Benz S-Class S 600 Black POWER MOONROOF *, FACTORY NAVIGATION *, LEATHER SEATS *, POWER WINDOWS * POWER LOCKS * CRUISE CONTROL *, STEERING WHEEL MOUNTED AUDIO CONTROLS *, TILT AND TELESCOPIC STEERING WHEEL *, POWER TRUNK *, KEYLESS ENTRY *, FOG LIGHTS, ALLOY WHEELS *, 5.8L V12 SMPI SOHC, Charcoal w/Leather Seat Trim. At Zeigler Schaumburg CDJ, Home of the BEST PRICE GUARANTEE, we take pride in treating our customers like family, ensuring that your experience is one that you will never forget. Every vehicle has been through a 125 point safety inspection completed by a certified technician and fully detailed. Take advantage of our VIP internet experience by contacting us at 847-882-8400 to schedule a test drive. We are proud to service customers in Schaumburg, Arlington Heights, Palatine, Elgin, Barrington, Chicago, & anywhere in the Great state of Illinois, saving you time & money on any New or Pre-owned vehicle! See dealer for complete details, dealer is not responsible for pricing errors, all prices, plus tax, title, plate, and doc fees. Serving Illinois and all of our surrounding cities like Schaumburg, Arlington Heights, Palatine, Elgin, Barrington, & Chicago. Some of our used vehicles may be subject to unrepaired safety recalls. Check for a vehicle's unrepaired recalls by VIN at http://vinrcl.safercar.gov/vin/. Zeigler CDJ-“FOR A GREAT EXPERIENCE”. Since our stock holds some fan-favorite used vehicle options, we’re assured you’ll find the right model that’ll not only suit your Naperville commute, but will be within your budget. When you’ve found the pre-owned vehicle you’ll want to come down to see at our used cars Schaumburg dealership, value your trade online before you get started. Still not sure which pre-owned Maserati sedan or other used brand vehicle will benefit you most? Contact a member of our team today to schedule a test drive or simply stop by our dealership and our staff will help! We’re confident you’ll find the right car for your daily drive. If you are ready to start your vehicle buying journey, apply for financing before you come in to get one step closer to your next vehicle!